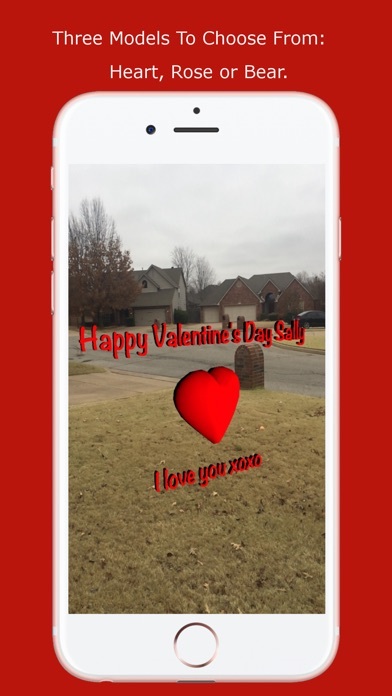 This simple and easy to use app provides the ability for you to express how you feel to someone special in your life in a innovative way! 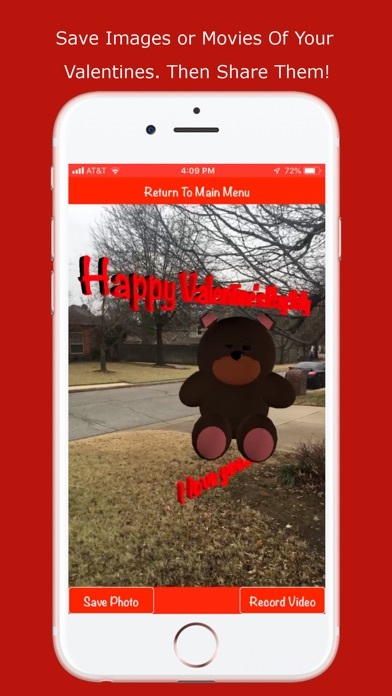 This could be the app that helps you tell someone how you really feel about them. 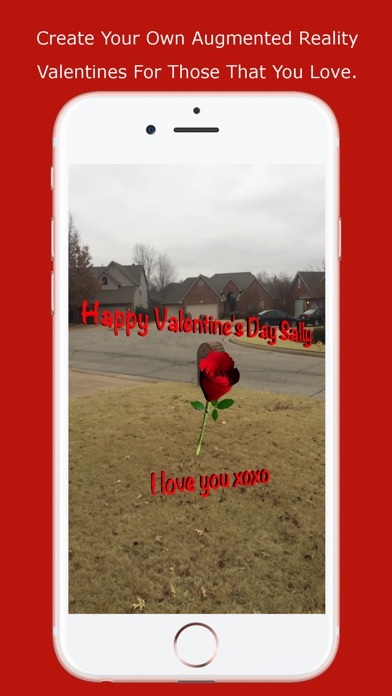 The app provides an augmented reality experience to help you create Valentines! 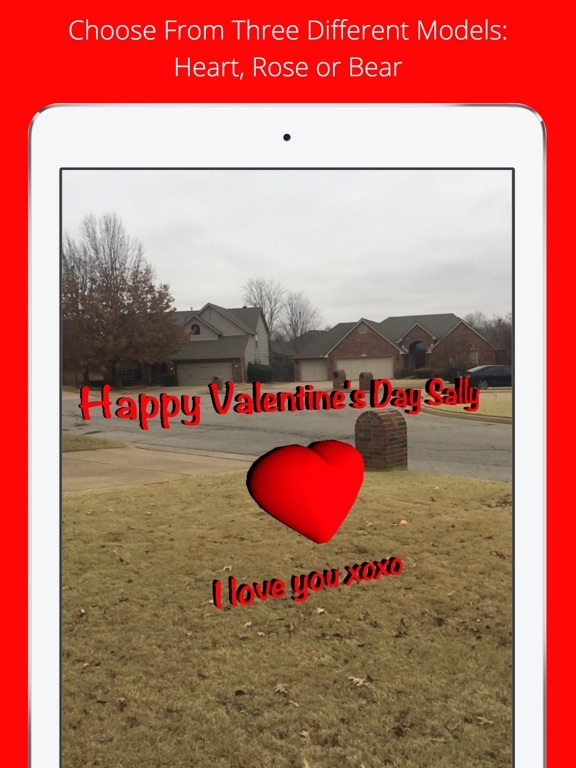 You have the ability to specify the name of the person you are creating your Valentine for. 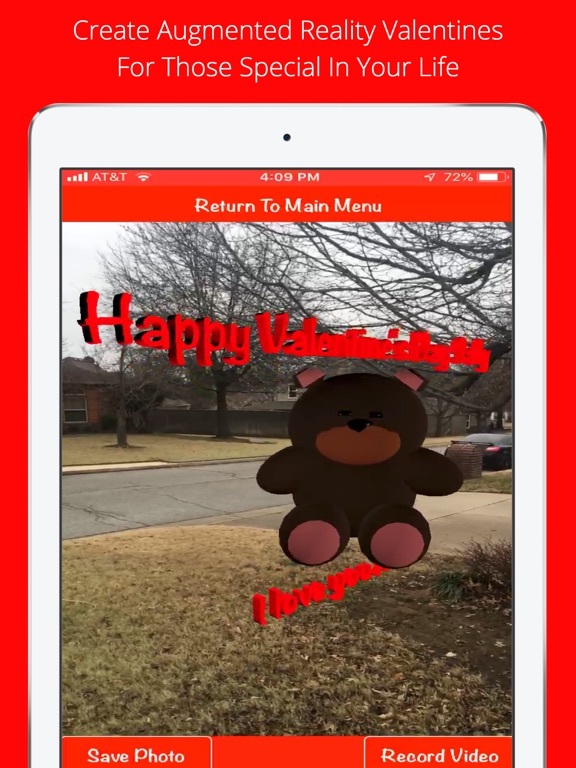 Additionally, you can choose the short message you want to send to them. There are three models to choose from: Rose, Heart, or Teddy Bear. You also have the ability to save the images and movies you create to your device so that you can share them with those that you care for.